Pressure-Point Release In this procedure the therapist or clinical assistant searches for muscles that are actively in spasm or causing pain. They then push on the muscle for 1-2 minutes. Initially it will cause soreness but should diminish steadily. This helps to normalize the muscles and improve circulation in that area. Soft-Tissue Mobilization The application of movement and force to muscles, ligaments, nerves or other soft-tissue for the purpose of promoting healing and normalization. Can be used to reduce pain. Sometimes discomfort may accompany the procedure. 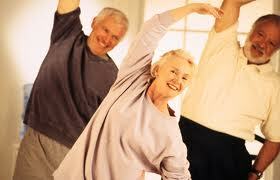 Joint Mobilization The application of movement and force to a joint for the purpose of increasing motion and range. Can be used to reduce pain. Sometimes discomfort may accompany the procedure. Therapeutic Exercises Strengthening and balancing the muscles around your joints are essential for good movement, stability and pain relief. Physical therapists are the leading experts in helping thosewith pain, arthritis, obesity, diabetes and heart disease get fit and strong safely. Even though there are many specialties and settings within the realm of ‘physical therapy’, most all physical therapists are trained to accelerate the body’s own healing process, hasten recovery, promote better movement, foster return to activities that promote quality of life. 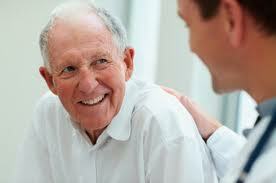 There are no side-effects, no drugs, or invasive procedures involved with physical therapy. It is typically the first and best option for most any muscle/joint/nerve/tendon problems, even those that might require surgery since therapy can shorten the recovery time and improve the outcome of the surgery. If you have any questions, just ask you physical therapist today!